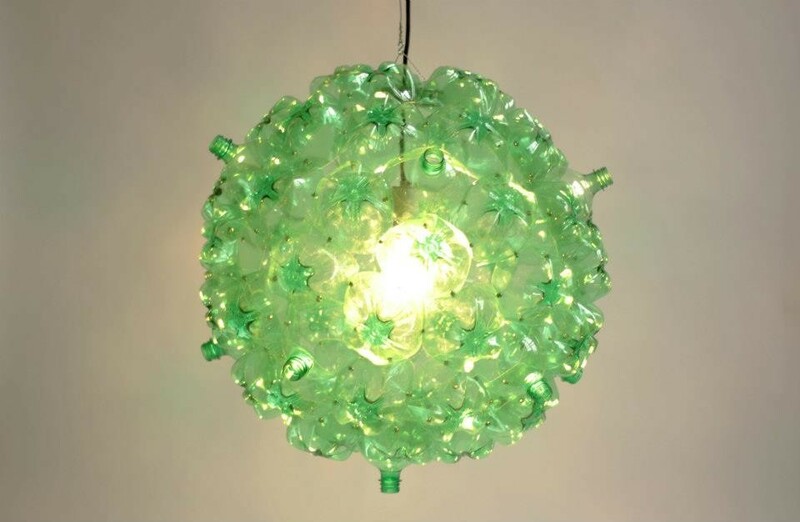 New York City-based Souda, a design and manufacturing company co-founded by Isaac Friedman-Heiman and Shaun Kasperbauer, recently shared a new project called Bubble Chandelier with Jetson Green. Kasperbauer said the light fixture is made with 60 two-liter, used soda bottles collected by homeless individuals and can collectors in the area. The company collaborates with and returns a portion of sale proceeds to local Sure We Can to make each chandelier. Souda has a two-week lead time for the 22-inch item, which runs on a CFL or LED bulb, preferably. It’s available in clear or green from $780.00.